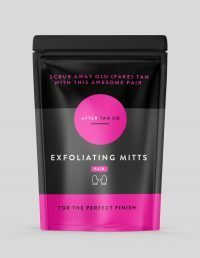 Spray/fake tanning is an important part of the prep for the big day. 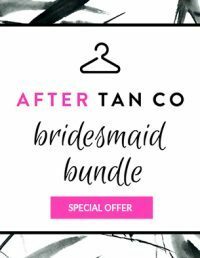 Whether you all go together, or fake tan separately in the lead up to the big event, why not make the process even easier with After Tan Co Bamboo Maxi dresses for your bridal party?! Made from gorgeous, high quality stretchy bamboo fabric which is not only deliciously light and breathable on the skin, bamboo has lots of properties complementary to the fake tanning process. Our Bamboo Maxi is black so it won’t mark, and features in built padding for coverage (a world first!). The thicker straps reduce hand bag and seatbelt imprints, and what’s more our Bamboo Maxi comes in a compact, super cute and portable (storage/makeup) bag. It’s the perfect present for your girls that they really will use again and again! For the perfect finish, you can’t go past After Tan Co Maxi Dress. This dress is designed to accommodate a range of shapes and sizes post fake tan application. It is not an overly loose product. It won’t be perfect for everyone – but we have tried.